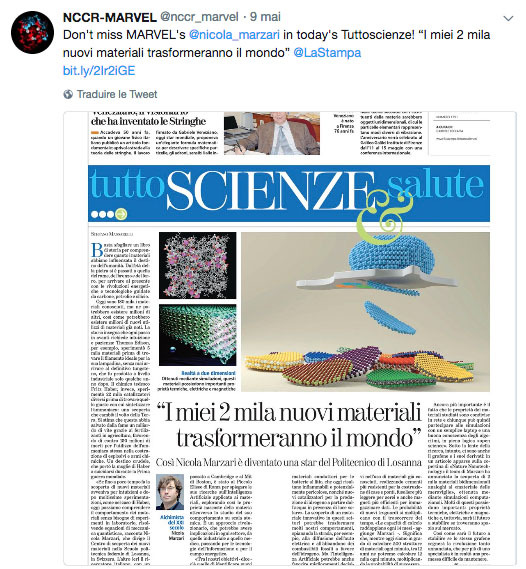 As part of the "Science and us, 6 Mondays to talk about the future" series, the Teatro Eliseo in Rome, on 7 May 2018, welcomed Nicola Marzari, director of MARVEL, for a talk entitled "New materials to rethink the world". 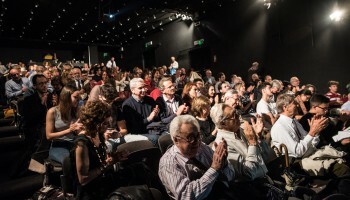 Nicola Marzari at Teatro Eliseo, Roma. Photo by Federica Di Benedetto. The ages of human civilization have often taken the name of the materials that defined them - stone, bronze, iron - and perhaps we will have to add oil, silicon, uranium: materials that save us and kill us. What is needed now to survive, to live, and to live better? How can we keep together an intoxicated planet that starts towards ten billion inhabitants? 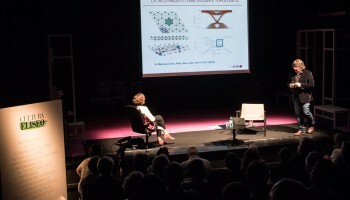 How do we discover, invent, and benefit from the new materials we need, understanding and predicting "in silico" the effects, even negative ones, that they can have? 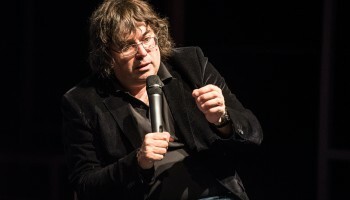 Nicola Marzari, director of NCCR MARVEL, showed how the quantum simulations work with the help of supercomputers, elaborate the equations that allow us to understand how new materials function or to invent others, without never having to do an experiment. Photos by Federica Di Benedetto. Read the invitation to the event and watch the slides. Watch the 13 min radio interview previous to the presentation. 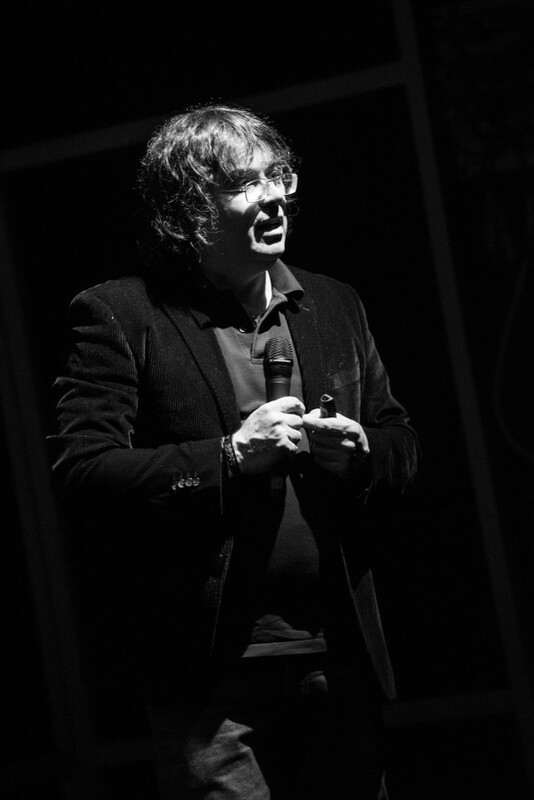 Watch Nicola Marzari's presentation at Piccolo Eliseo, Roma (available soon). Read the article published in La Stampa on 9 May 2018.